I would like to extend Horrell’s analysis by suggesting something else the Blue Angels could do, something that would well represent our military and inspire young people to want to join it. For several years now, the Berkman Plaza Two complex has been a 22-story hulking hollow shell standing on the north bank of the St. Johns River in downtown Jaxonpool. The ‘eyesore on the north shore’ is bad for local politics. It reminds people of the kind of disaster that can occur when government regulation and oversight are cut to the minimum. The European socialists lurking among us (such as the “Occupy Jaxonpool” ne’er-do-wells currently camped out in front of city hall) may seize upon the Berkman Plaza Two as a rallying cry, “waving the bloody shirt,” so to speak, to press for more governmental intrusion into our personal freedom and free enterprise system. So I have a suggestion, one that will neutralize this potential left-wing argument. The next time the Blue Angels are putting on an air show over Jaxonpool, have them bomb the Berkman Plaza Two! The Blue Angels always put on a good flyover show, and they could REALLY put on a good one by using the eyesore on the north shore for target practice. With the exception (or maybe not) of the recent NATO bombing within Pakistan that killed 25 of that nation’s soldiers, our bomber pilots are pretty accurate and precise and would in all probability miss the Berkman Plaza One. 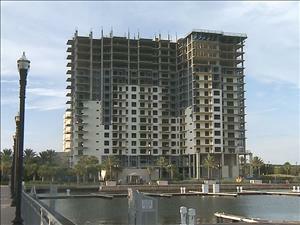 And while they are at it, they could take out the Goodby’s Creek Condo project at San Jose Blvd and Baymeadows. 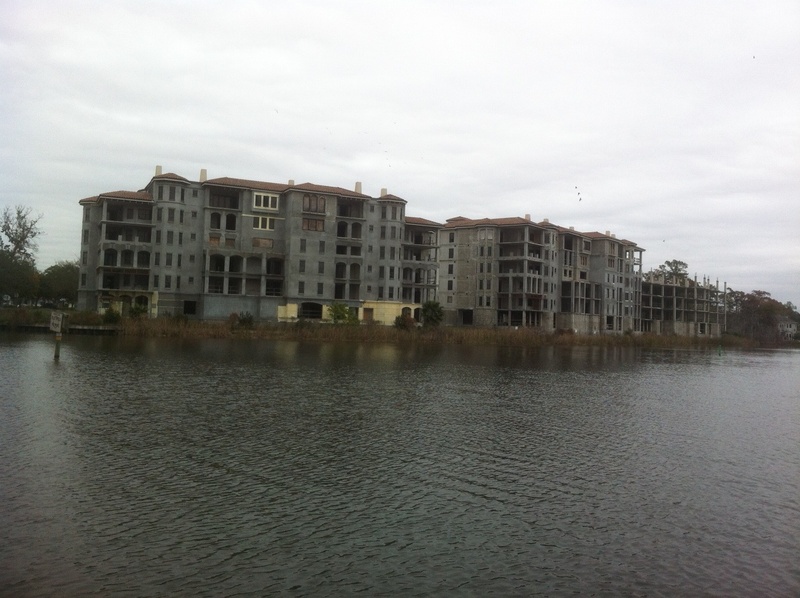 Similarly standing idle, vacant, and half built for several years now, Goodby’s Creek is a sprawling, five-story, hulking concrete shell. This disastrous structure similarly haunts the city skyline, reminding people once again of the 2008 financial meltdown that was brought on by minimalist government regulation. How can anyone expect people to forget the past with these structures still standing there to remind them? Just thought I would let you know my thought.